May 23, 2017 – SES today announced the successful integration of NASA’s Global-Scale Observations of the Limb and Disk (GOLD) hosted payload with SES-14. GOLD will employ an ultraviolet imaging spectrograph to measure densities and temperatures in the Earth’s thermosphere and ionosphere in response to Sun-Earth interaction. It is aimed at revolutionizing scientists’ understanding of this part of the space environment and its impacts on low Earth orbit satellite drag (a force acting opposite to the direction of motion, slowing the satellite), and ionospheric disruptions of communication and navigation transmissions. GOLD will take unprecedented images of the temperature and composition changes over a hemisphere. GOLD is a result of collaboration among several world-leading entities. NASA’s Goddard Space Flight Center in Greenbelt, Maryland, is providing overall NASA program management, while the University of Central Florida’s Florida Space Institute is the Principal Investigator for the project. The GOLD instrument was built and will be operated by the University of Colorado Boulder Laboratory for Atmospheric and Space Physics. Satellite operator SES and its fully-owned subsidiary SES Government Solutions are providing the host satellite, mission operations, and science data transport. The project was developed in close partnership with Airbus Defence and Space, the company which is building the SES-14 spacecraft for SES. SES Government Solutions is exclusively focused on meeting the satellite communications needs of the U.S. Government and its agencies. Leveraging more than four decades of experience in the government SATCOM market, SES Government Solutions offers robust and secure end-to-end satellite communications solutions. Testing and preparation of SES-14 and GOLD are on-going in Toulouse, France, in anticipation of a late 2017 launch on a SpaceX Falcon 9 from Kennedy Space Center in Cape Canaveral, Florida. 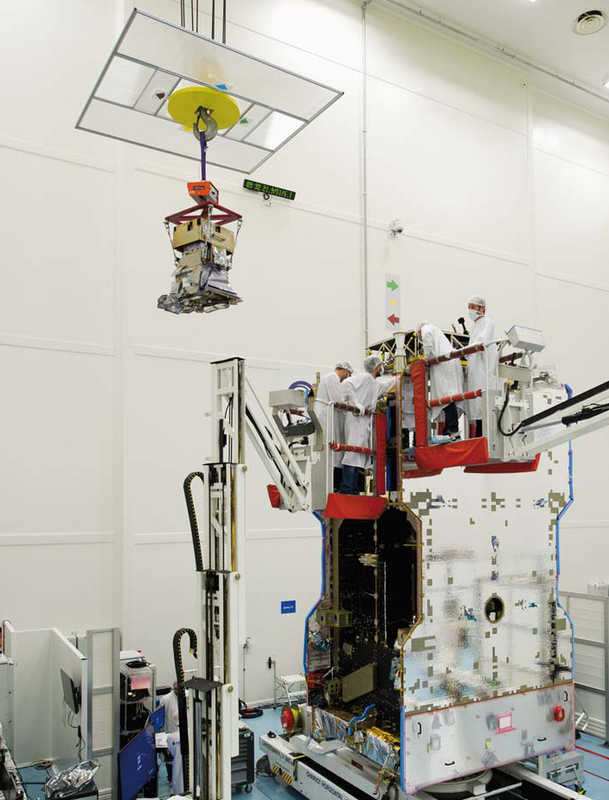 The SES-14 satellite will provide coverage of the Americas, Atlantic Ocean, Western Europe, and Northwest Africa with High Throughput Satellite (HTS) services and Ku-band & C-band wide beam services. The wide beams will serve growing video neighborhoods in the Americas and also support existing VSAT services. The HTS Ku-band multi-spot beams will serve traffic-intensive data applications such as mobile backhaul, maritime and aeronautical services.